Something new to excite my crochet soul? In an effort to breath new life into my crafty self, I took to the Internet to see what could possibly be out there to inspire me. I’ve always been a blanket lover, in that I appreciate a beautiful handmade blanket. When I dusted off my Ravelry queue, there were so many blankets that I haven’t even had the chance to think about making. If one of them had inspired me enough to pick up my needles or hook, I probably wouldn’t have been searching online in the first place. No, I need something new and different. That said, I must sadly admit that I haven’t actually finished many blankets. My love of knitting and crochet has always been more wrapped up in the actual process instead of the finished project. Maybe it is time I change. I mean, I have certainly finished the occasional baby blanket, but never a full sized project. I keep telling myself that now is the time to turn over a new leaf in that regard, but the honest truth is that I don’t know if that will actually happen. So in an effort to regain my mojo, if you will, I will simply just start and continue as I (hopefully) mean to go. And if that gets me to a finished project, even better And if I just happen to start a project, but it never gets finished, so be it as well. My newest realization is that I am entirely too hard on myself in many regards. Either I’m not living up to my own usually unrealistic expectations of myself or I’m just overwhelmed by the tasks I have outlined for myself. This may very well be one of those occasions. So, what piqued my interest as I browsed through pictures online? Pixel crochet! I was intrigued by how just blocks of single colors could be used to create a whole, overall picture. 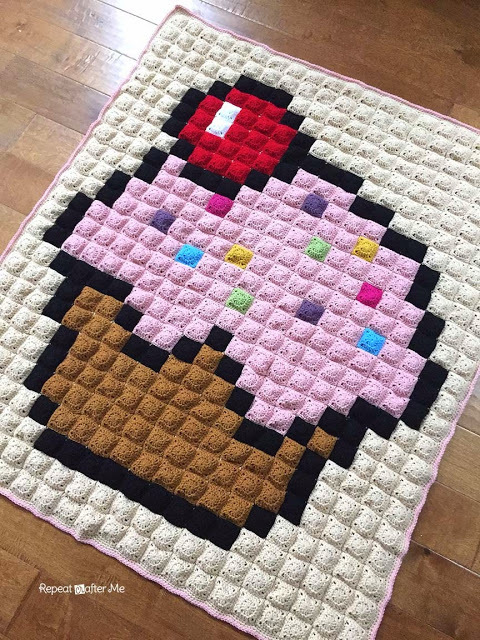 All of the pixel crochet projects I came across were either of video game related elements (think Mario Brothers for Nintendo and the like), cute cartoon characters, or some object or food. While I particularly really liked a few of these designs, nothing quite sang to me and demanded that I make it. 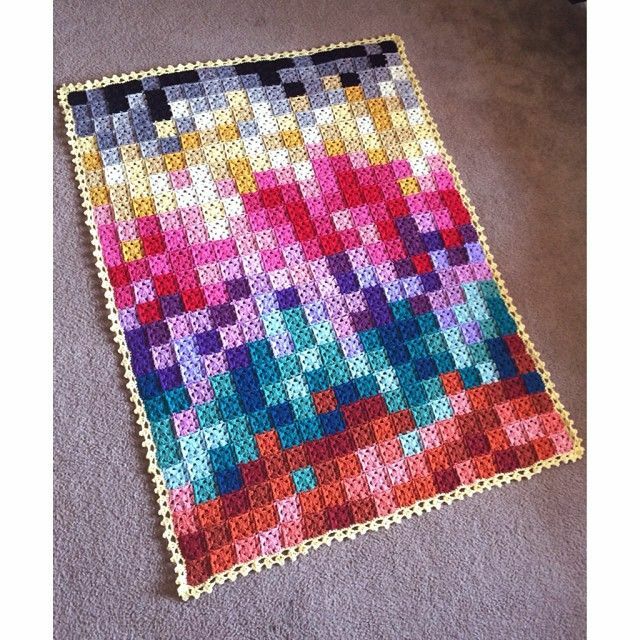 So I started looking through websites about pixel crochet that explained how it was a design in a grid. What else is a design in a grid, but cross stitch! 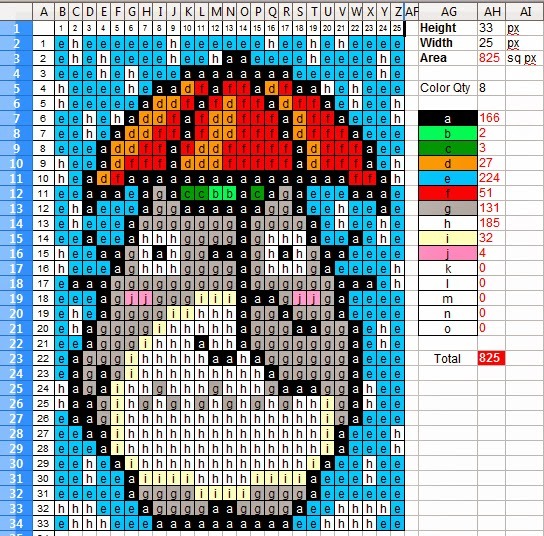 I have my answer – I simply need to find a pattern for cross stitch that I love and will hopefully not be overwhelming. I will say that I am drawn to a more modern, geometric pattern so that is what I will be looking for! Wish me luck! Perhaps a coming home? Or maybe a homecoming?